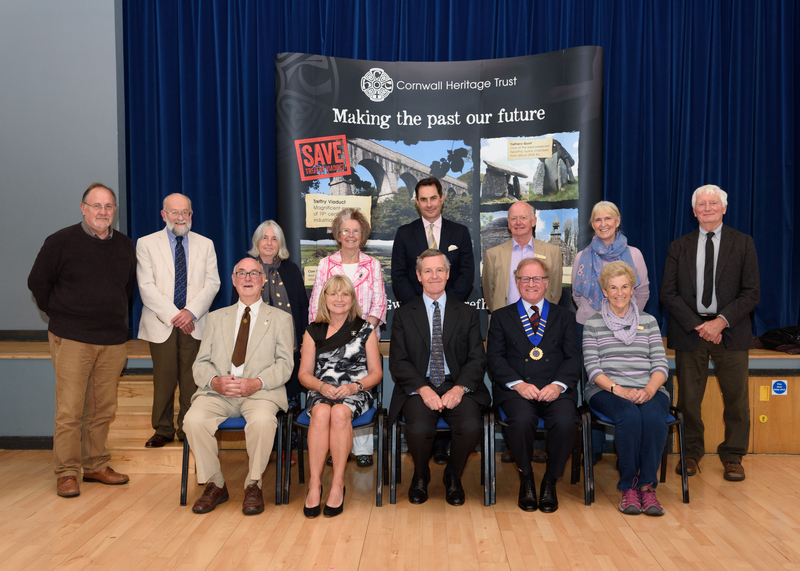 The 33rd Annual General Meeting of Cornwall Heritage Trust took place on Thursday 20th September at Chacewater Village Hall. 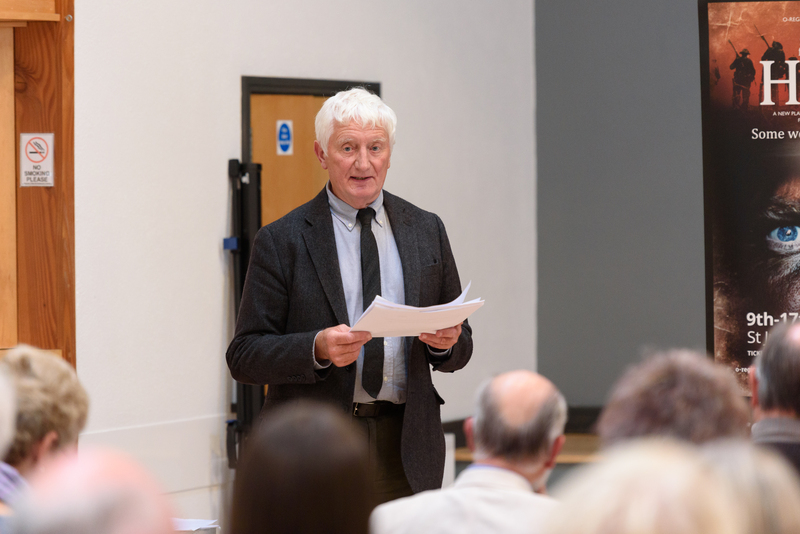 The AGM was preceded by the Dr John Rowe Memorial Lecture when Trustees, members and friends enjoyed an informative and well-researched talk by Carole Vivian, last year’s Heritage Champion. Everyone enjoyed Miss Vivian’s stories of Trelawne and admired her determination to reveal the background to so many of the colourful characters she discussed. She pointed out that to be interested in local history you don’t need to be an academic, you don’t need lots of money and you don’t need to understand Latin, but you will meet some fascinating people and it will take you in interesting directions you never thought of going. Mrs Clare Jacques thanked Miss Vivian for the very interesting talk, particularly the part about Emily Hobhouse, a heroine of hers. The Sir Richard Trant Memorial Award is presented every year to an unsung hero or heroine volunteering within Cornwall’s heritage sector. Lt Col Richard Trant announced the winner of the 2018 award as Ms Cheryl Straffon. 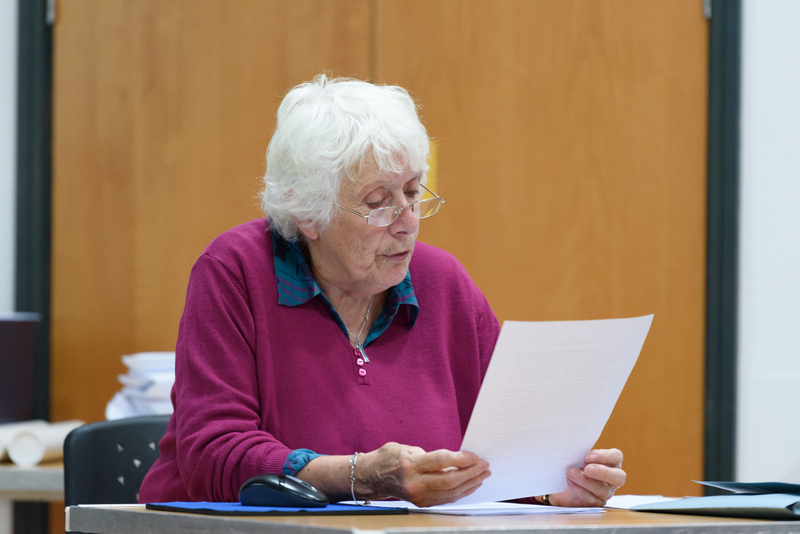 Ms Straffon chaired CASPN (Cornwall Ancient Sites Protection Network) for 15 years, having retired from a career in teaching, bookselling, training and librarianship. 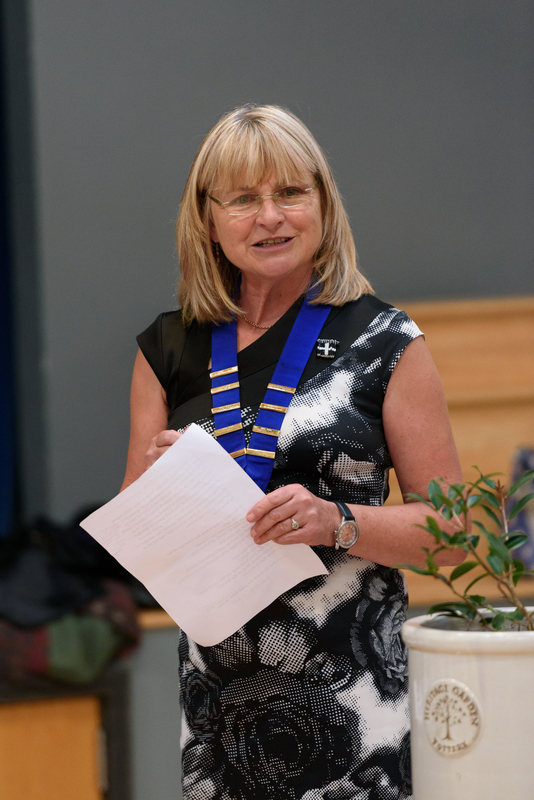 Currently the Vice Chair of CASPN she was also the founder and editor of the Cornish ancient sites magazine Meyn Mamvro for over 30 years, and is the author of a number of books on the prehistoric sites and folklore of Cornwall. Ms Straffon was nominated for the award by Mr John Moss for her work with CASPN, FOCAS and, more recently, the Penwith Landscape Partnership Project. 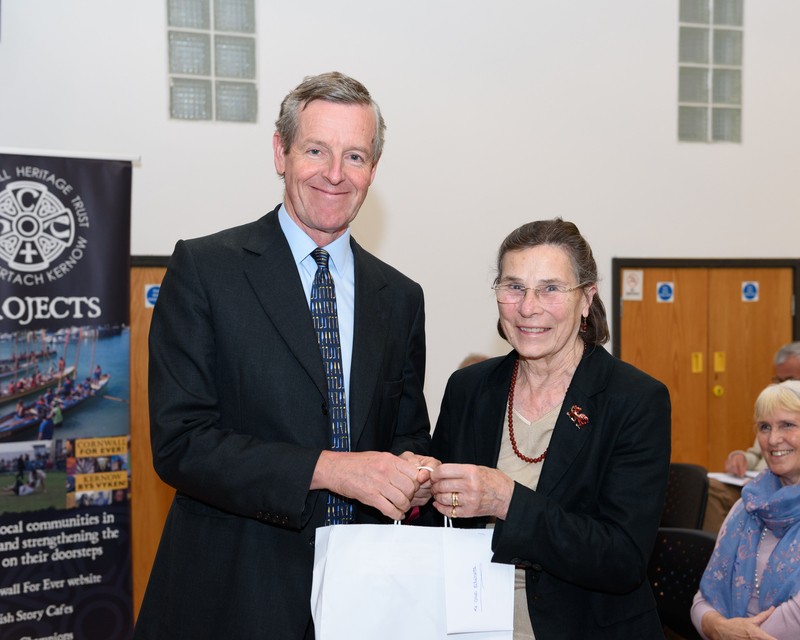 Unfortunately she was unable to attend the AGM to receive her prize however Mr Moss accepted the award on her behalf. 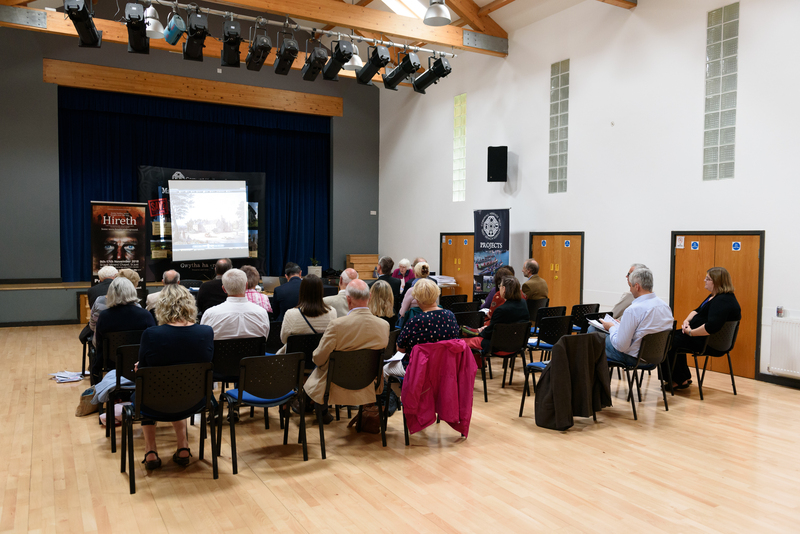 The business of the AGM followed and those present received reports from Lt Col Hills and Mr Brian Hooper. The work of the Trust over the last year has been dominated by the Luxulyan Valley Project and while it is a shame that the project will not be going forward Lt Col Hills pointed out that there have been many successes during the year as well, these included the office relocation to Krowji in Redruth. 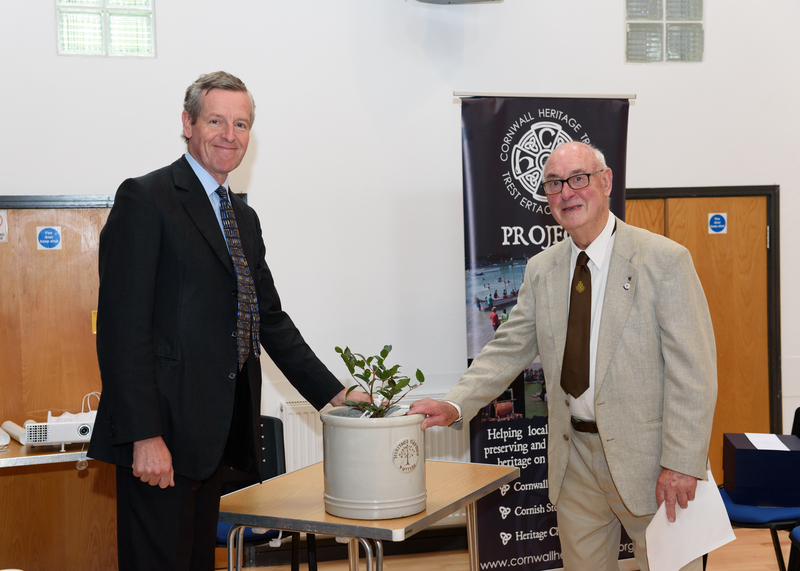 Mr Hooper reported that the finances remain sound and that the fundraising campaign for the project was well received. Lt Col Hills announced his resignation as Chair of the Trust after 6 years. 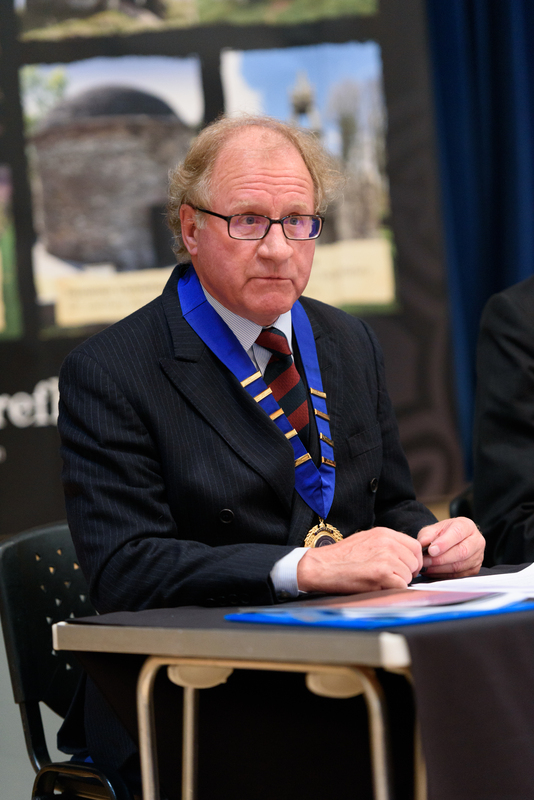 He became a Trustee 10 years ago, initially taking on the role of Lead Property Trustee before becoming Chair in 2012. 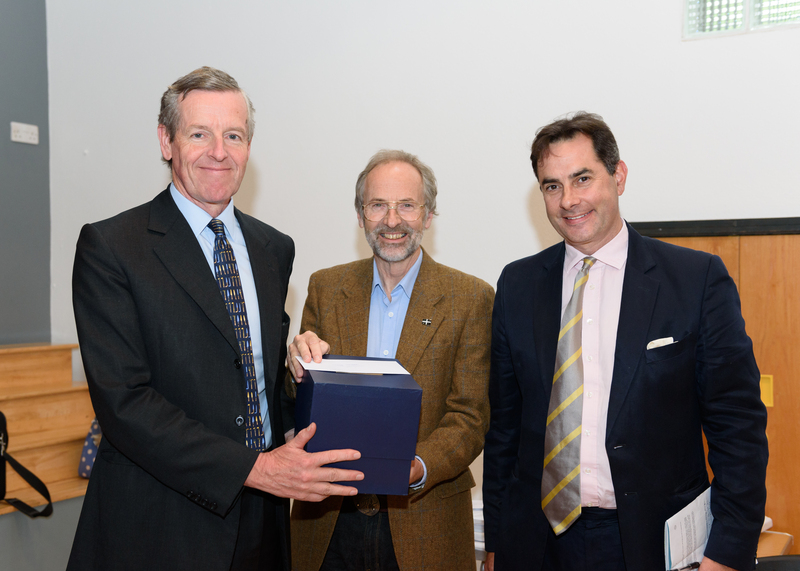 Colonel Bolitho thanked him for his commitment to the Trust and leadership through some difficult times and awarded him Honorary Life Membership of CHT in recognition of this. 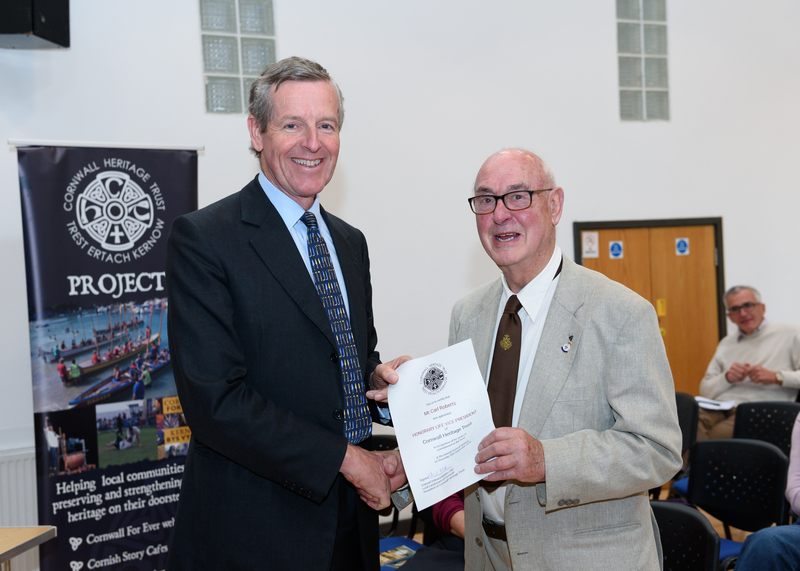 Also awarded Honorary Life Membership was Mr John Smith for his work on the Luxulyan Valley Project on behalf of the Trust. His knowledge of the monument is second to none and he has given generously of his time and expertise in his quest to see the viaduct restored. 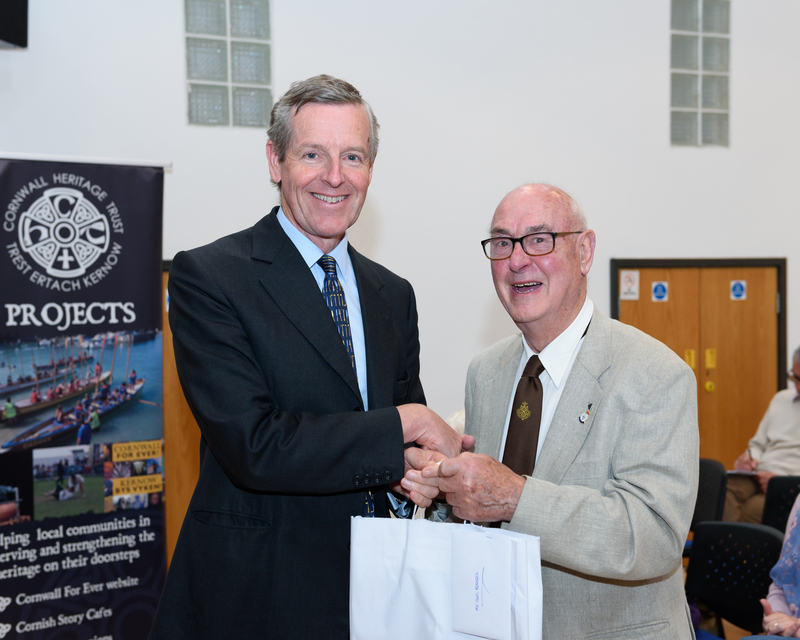 Four Trustees retired during the year and gifts were given to them as a memento of their time with the Trust: Mr Carl Roberts, Mrs Ann Trevenen Jenkin, Mr Colin Edwards and Mr Donald Rawe. 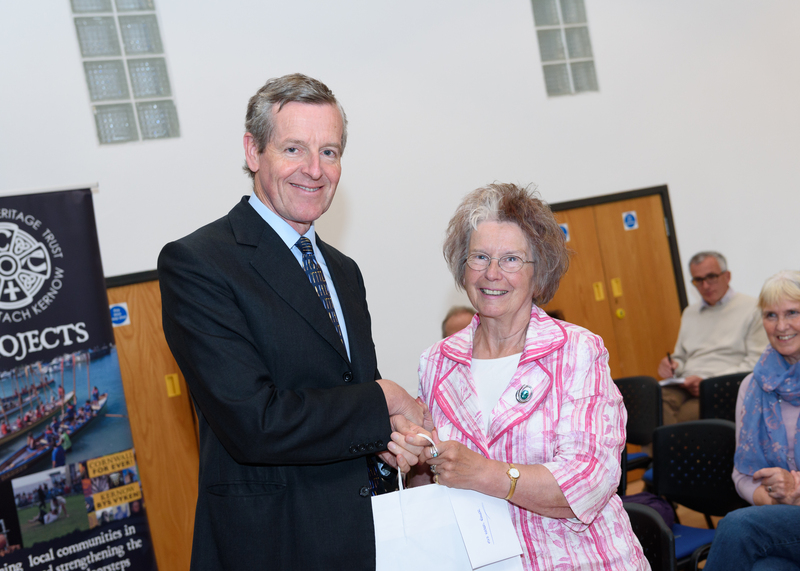 Unfortunately, Mr Rawe died in June and so his gift was accepted on his behalf by Mrs Helen Rawe. Mrs Christine Edwards accepted the gift on behalf of Mr Edwards who was unable to attend due to ill health. 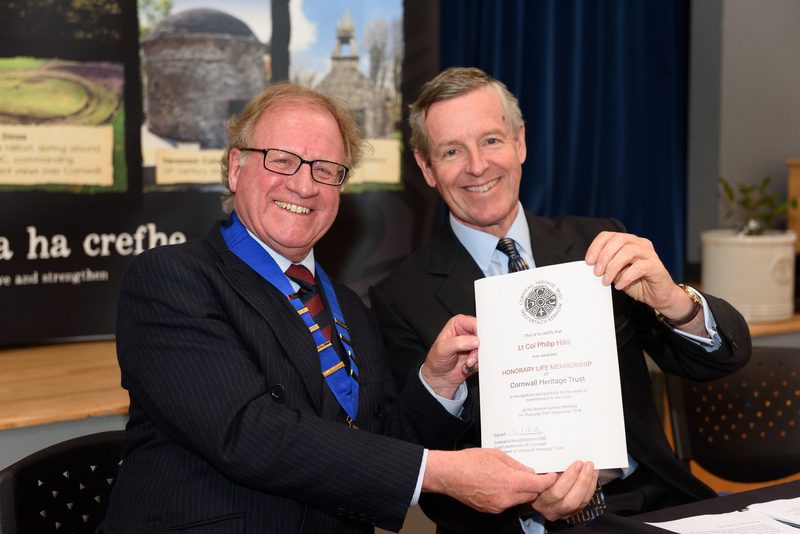 Col Bolitho described Mr Carl Roberts “far more than just a trustee”, he explained that he had been a Founder Member, Founder Trustee, former Treasurer, Honorary Vice Chair and, most importantly, “Keeper of the Shredder”! 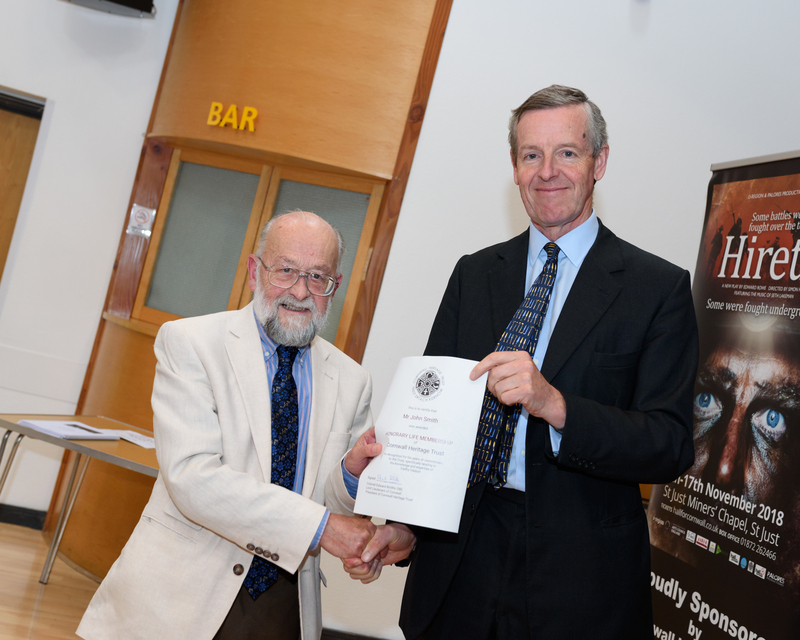 Already a recipient of both Honorary Life Membership and Member Emeritus it was important to mark his retirement and honour his outstanding commitment to the Trust. Mr Roberts was astonished to hear that he was being offered the honorary role of Life Vice President of Cornwall Heritage Trust and accepted with enthusiasm! 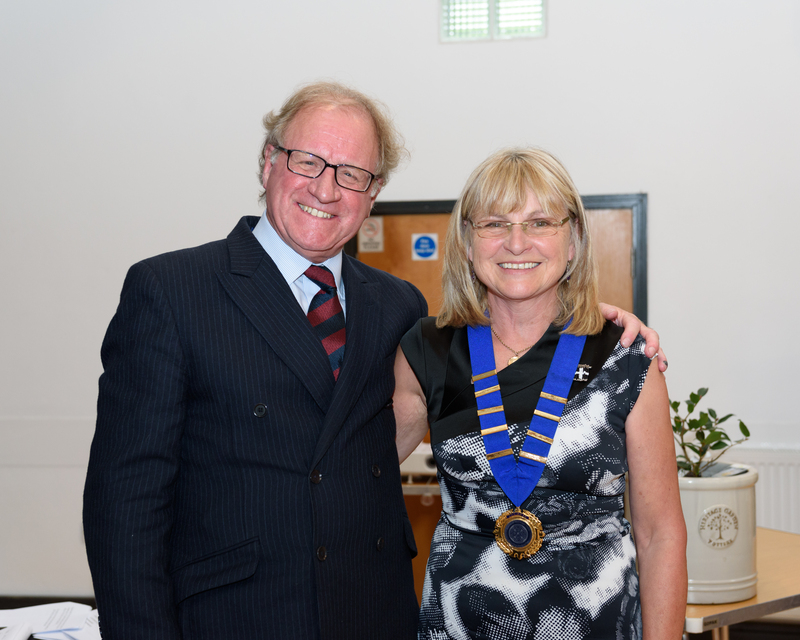 The final point of business was the official handover of the Chairman’s medallion from Lt Col Hills to the new Chair, Dr Lamorna Spry. Dr Spry thanked Lt Col Hills for his time as Chair and introduced herself and her plans for Trust. Members will be able to find out more about Dr Spry in our next newsletter which will feature a profile on her!